According to Forbes, Vladimir Putin is the second powerful man on Earth. Putin, who held the Kremlin from 2000 to 2008 for two terms, reinforced his position as Russia’s undisputed leader. 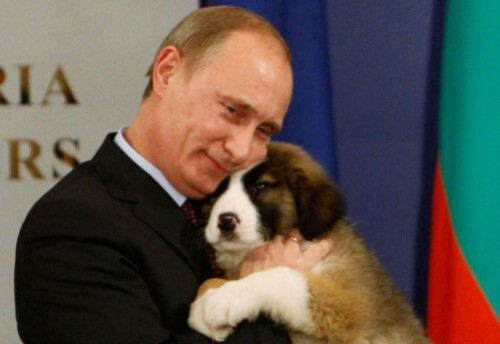 Meanwhile, never before I’ve seen any other Russian president or Head of our State – animal lover, as Mr. Putin is. That’s why I will vote for him in 2012. It’s no secret that the President of Russia Vladimir Putin likes to pose with animals. He had already come for the sights of camera lenses along with dogs, calves, chickens, cranes and even bears and octopuses. For years, his four-legged friend was a Labrador Connie, and he recently while walking in the Novo-Ogaryovo showed his other dogs – Karakachan shepherd Buffy and the Akita Inu Yume. 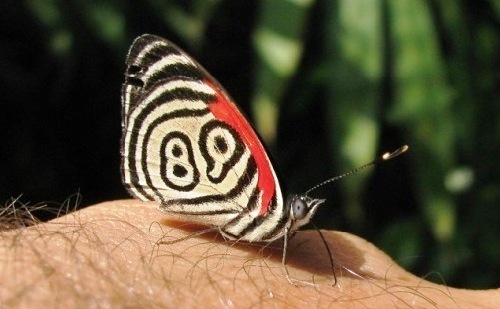 Amazingly, the nature itself has coded this beautiful butterfly with the number 89 on the wings! In fact, the traditional habitat of number 88 butterfly is in the forests in Bolivia, Peru, Ecuador, Colombia and Venezuela. Diaethria neglecta, known as 89 butterfly, has black, red and white patterns on the backsides of its wings. Meanwhile the front side is black with a metallic aqua green to blue hue. Born in Oregon in 1947, Drew Struzan is a talented American artist. He went to the Art Center College of Design after relocating to Los Angeles at age 18, where he decided to major in illustration. Throughout school he sold his artwork to make extra money and accepted a few commissions. Noteworthy, he graduated with honors and a Bachelor of Arts degree. According to Drew Struzan, amongst all the difficulty and turmoil of the business, it was the place where dreams appeared and it was a beautiful life for him. As the 1990s arrived and digital animation began to dominate, Struzan’s hand-drawn artwork was in less demand. 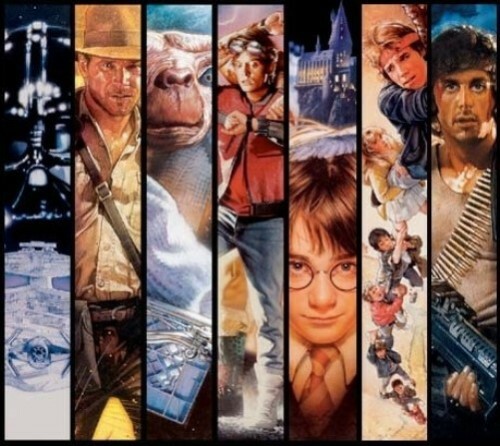 He created posters for such blockbusters as Hook, Hellboy and Harry Potter. Meanwhile, he began to find other outlets for his work including comic books, limited edition art, and the collectible market. His art can be found on such items as Franklin Mint pieces, a twelve plate collectible set commemorating Princess Diana, the 1996 edition of the board game Clue, and various U.S postage stamps. Life could be wonderful if people would leave it alone. Sir Charles Spencer, or “Charlie” Chaplin (16 April 1889 – 25 December 1977) was an outstanding English comic actor, film director and composer best-known for his work during the silent film era. He became one of the most famous film stars in the world before the end of World War I. Chaplin used mime, slapstick and other visual comedy routines, and continued well into the era of the talkies. However, his films decreased in frequency from the end of the 1920s. If only on this list for one of cinema’s greatest moments of music, the “eee eee eee” bit from Psycho (1960), Bernard Herrmann’s works include Vertigo (1958), The Man Who Knew Too Much (1956), and North By Northwest (1959), all for Alfred Hitchcock, as well as the original Cape Fear (1962) and Fahrenheit 451 (1966), with his last being the classic Scorsese film Taxi Driver, in 1976. The music makes film from being pretty good to stunningly great, Herrmann redefined horror and gave us one of the most referenced and parodied musical refrains in history. 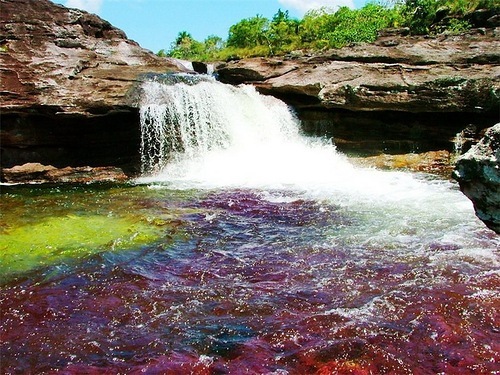 In fact, Cano Cristales, or the Crystal river has various names – “The River of Five Colors,” “The Liquid Rainbow”, “the river that ran away from paradise”, or even “The Most Beautiful River in the World”. And all these names are due to the algae which produces colors – red, yellow, green and blue. Besides, the bottom of the river has a unique appearance. The colors shown in these pictures are absolutely real and there aren’t any photographic tricks at all. The mosses and algae covering the bed and rocks of this river appear as dull green and brown water plants. And the water level regulates the amount of sunlight reaching the plants. At certain times of the year, depending on the water level, the mosses ‘bloom’. 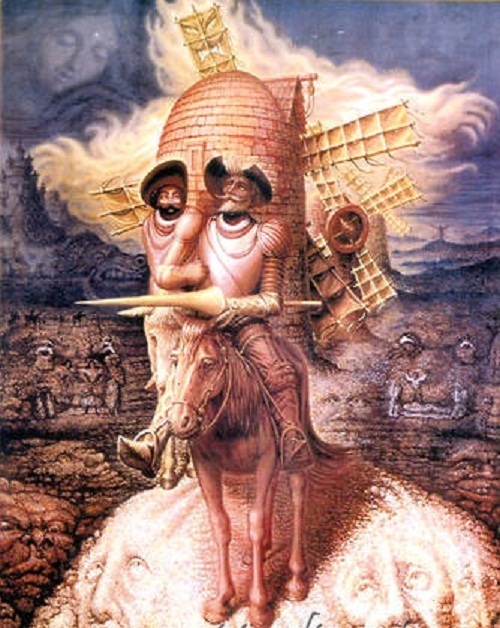 Born on 28 February 1943 in Celaya, Guanajuato, Octavio Ocampo is a talented Mexican artist. According to Ocampo, he had studied art since childhood, as he grew in the family of designers. Meanwhile, it art school, Ocampo constructed papier mache figures for floats, altars, and ornaments used during carnival parades and other festivals. And in high school, Ocampo painted murals for the Preparatory School and the City Hall of Celaya. According to belief, talented people are talented in everything. And this Ocampo proves this. In addition to painting and sculpture, Octavio Ocampo extended his talents to acting and dancing. At the Art Institute of San Francisco, he studied all these disciplines and pursued both a film and theater career. In 1976, he began to devote himself solely to painting and sculpture. He now works primarily in the metamorphic style – using a technique of superimposing and juxtaposing realistic and figurative details within the images that he creates.